A few clients have asked us about recent notifications received from Network Solutions (and others): "Action Required: Notice Regarding Your Domain Name(s)". In this day and age, we recommend that all users stay alert when opening email, and we welcome questions about the legitimacy of received mail - better safe than sorry! "This notification is being sent to you as a contractual requirement of the Internet Corporation for Assigned Names and Numbers (ICANN) WHOIS policy. When you registered your domain with us, you agreed to keep your contact information in Account Manager current, and the WHOIS policy mandates that we ask you to verify and/or update this information periodically. Further, ICANN requires us to remind you that providing inaccurate or dated contact information may be grounds for domain name cancellation." In this case the message IS legitimate, and we always recommend as an extra precaution that you go straight to the website in question (in this case, the company you registered your domain name with, typically Network Solutions), rather than clicking through the link in the website. Yes, we just said the email was "real", but as a "best practice", don't follow links in emails when you don't have to. You don't have to reply to the email, it's just a reminder to check that the current information is still valid, and to update it as necessary. ICANN (the Internet Corporation for Assigned Names and Numbers) is a non-profit organization committed to maintaining a number of databases associated with domain names. ICANN is committed to maintaining the WHOIS directory, which is a directory of contacts associated with all domain names - much like a telephone book. In order for the information to be useful, it must be up to date, and anyone who registers a domain name must agree to keep the information up to date. Domain name registrants, businesses, individuals, consumers, and law enforcement are all stakeholders in this directory. As part of your contractual agreements when you registered your domain name, you agreed to keep the contact information accurate and current. If you use a private registration, you must keep the contact information current at your registrar. Note that all your renewal notices, etc, will be sent to the current contact on file, so its also in YOUR interest to keep the information current. Even if you have a credit card on file for automatic renewal, if the card expires or gets replaced, without out accurate contact information you won't get the notification and you could lose your domain name. To look up your own information, go to the Network Solutions WHOIS lookup tool. The Registrant organization should be your company name (not an employee or webmaster! - this is VERY important! Does the business own the domain name, or does the employee or webmaster who set it up own it? Make sure this is correct!. Also check that the registrant, administrative, and technical contacts are all current. Check the WHOIS Primer for more information on the role of ICANN and the WHOIS directory. It's the latest buzz word in technology - the "cloud". Many of our clients are asking about the cloud, so we want to take some of the mystery out of it. The definition from Wikipedia sums is up simply: "Cloud computing is the use of computing resources (hardware and software) that are delivered as a service over a network (typically the Internet)". 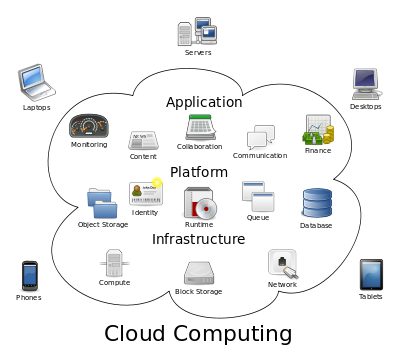 The name comes from the cloud diagram that is typically used in network diagrams to symbolize the Internet. The underlying business principle is that you can decrease operating costs by outsourcing applications, hardware and support to the cloud provider. A very popular book that came out a few years ago, The Big Switch, by Nicholas Carr presents the analogy that over 100 years ago, businesses used to generate their own power locally, and then moved to the newly built electric grid, which turned power into a utility. The analogy follows that computing is now turning into a commodity resource and it isn't cost effective to run everything locally. The concept sounds new and radical, but if you're worried that your behind on this new trend, rest assured you're probably already operating in the cloud but you just don't know it. If you used AOL email in the 90s, you were already in the cloud! These days, we typically recommend a hybrid approach to computing. 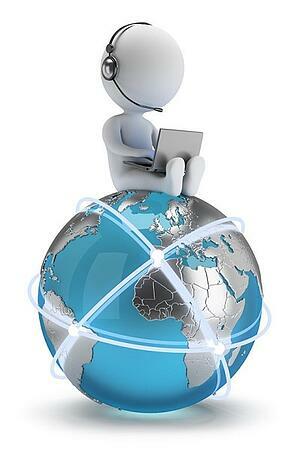 We currently manage support for our clients through the cloud with our managed services. We still go on site for installations, and we don't want to lose the personal contact with our users, but much of the support and monitoring we do is through the cloud. Our managed systems report back to us if, for example, antivirus protection isn't up to date and we can remediate most support issues remotely. Are you running an on-line backup? Then you're in the cloud too. We strongly advise automated, encrypted, backup "to the cloud" to make sure your files are safe. You may think of it as "on-line backup", but you can also talk about it as "cloud backup". If you're still running a tape backup, it's time to change! If you don't own your own e-mail server, then you're using cloud based email. Many of the industry-specific applications we see our clients working with are also "in the cloud". During the "dot-com" days, it was called the "ASP" model - Application Service Provider. Salesforce.com is one of the major applications used by many businesses for CRM - Customer Relationship Management. Applications "in the cloud" provide much higher capabilities over what could be afforded on a stand-alone server, but when the Internet is down, so are your applications. The things to think through in your cloud strategy are cost, performance, and reliability. Many small businesses maintain local servers for the performance gains, in parallel to using cloud based applications. If you share files locally, then you always have access to them. If you rely 100% on the cloud, you'll have a problem when the connection speed is slow, or down. Ken Olsen, founder of Digital Equipment Corporation (DEC), famously called PCs "snake oil" years back, and perhaps he was just thinking too far ahead. We don't think it's time to move your PC into the cloud, but we've almost come full circle back to the days of mainframes and terminals. Not there yet, though, and with the low cost of computing, I'm not ready to give up my local apps. February 7 is Safer Internet Day! February 7 is Safer Internet Day, which is organized by Insafe each year to help promote safer and more responsible use of the Internet and mobile phones, especially among young people. There are events all over the world today with this year's theme focused on "Connecting generations and educating each other". This is a great idea because we can all help each other - tech savvy young people can teach their grandparents about how to get around on-line, and grandparents have the wisdom to help their grandchildren stay safe. 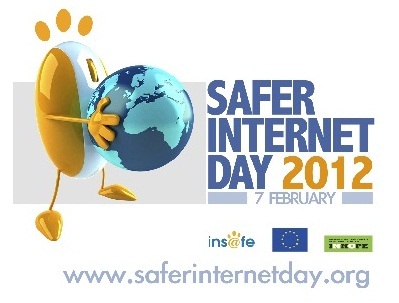 To learn more and get informed with some helpful statistics, visit the saferinternetday.org web site. Did you know that 26% of children report having a public social networking profile and 36% of 9-16 year olds report that they definitely know more about the Internet than their parents? 48% of parents report that they get Internet safety information mostly from family and friends. In the spirit of the day, talk to your family about Internet safety and help spread the word! You can also help spread the word on Facebook and Twitter. 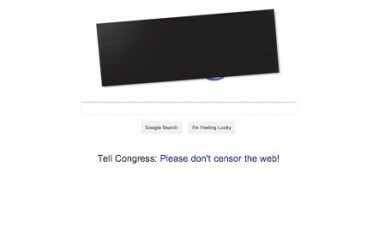 This week, Wikipedia went dark and Google blacked out its logo in protest over two controversial intellectual property bills being discussed in Congress: Stop Online Piracy Act (SOPA) and Protect IP Act (PIPA). The intent of the new laws is to protect authors and creators of intellectual property from getting ripped off. However both proposed laws are seriously flawed. Under SOPA, an entire web site could be shut down even if there is only some infringing content. Imagine the implications for sites like YouTube, Twitter, Facebook, Wikipedia. All other content AND users would also be locked out! If you wanted to visit one of these sites to view non-infringing material, you couldn't. As Rodney Brown points out in Mass High Tech, that's sensoring us too! In addition, the concept of "guilty until proven innocent" is wrong. Any company that says another web site is using some of its content could get a court order from a judge to shut down the site without due process. Opposition to the proposed laws has been huge. Over 2.4 million Tweets were posted on Wednesday! On the same day, many web sites such as Google, Amazon, The ACLU, and several other protest sites posted links to tell Congress to fix the laws, and there must have been a flood of emails. It looks like Congress is listening. Today Senate leaders announced they will postpone the vote. Harry Reid said: "In light of recent events, I have decided to postpone Tuesday's vote". He also adds "There is no reason that the legitimate issues raised by many about this bill cannot be resolved". Stopping people from profiting from blatant piracy is a good thing, but these laws are seriously flawed, far too overreaching, and would do far more harm than good.